The cool demo of Google Glass on stage at the developer conference Google I/O 2012 was in some parts performed with non working devices. The stuntmen team went on their skydive with full charged models – but Sergey Brin and other Googlers on stage wore cyber glasses with empty batteries. 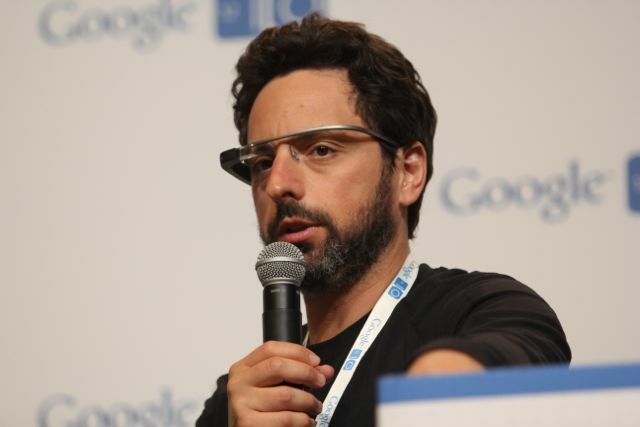 After the keynote a selected group of international journalists had the chance to get a first hands-on-experience with Google Glass – explained by Sergey Brin himself. The tech reporters saw a demo movie clip showing fireworks. They had to hold the power adapter because the battery of Sergey’s demo device was empty. “Being able to share what you’re seeing is amazing,” Brin said. The four skydivers all equipped with Google Glass hardware plummeted toward the ground in San Francisco, and video quality in the hangout was about as good as one would expect considering the circumstances.